Jennie Jerome, Winston Churchill’s American mother, brought up her sons almost single-handed after her husband became seriously ill while Winston was a teenager, then died when Winston was just twenty. Mother and son became intensely close and exchanged at least 1,000 letters over a period of forty years; David Lough includes passages from over half in this first publication of the correspondence. The letters reveal Jennie not just as a mother – but as her elder son’s life coach, his career consultant, his literary agent, political adviser, publicist, critic, estate agent – and his partner in financial distress. Jennie and Winston are both wonderful writers. Their letters sparkle and are truly frank, revealing just how dependent – practically and emotionally – Winston remained on his mother until he was twenty-five years old and became an MP. Then his mother chose to remarry (a man of her son’s age), Winston became a busy public figure and the wheel began to turn. The charms that Jennie had exercised over so many of Britain’s aristocratic and political élites began to fade. Her new marriage began to crumble and her business ventures faltered. Yet when she needed to lean on her son, he was often too busy to help until a crisis point was reached. Then war broke out, Winston soon lost his ministerial post over the failure of the Dardanelles campaign and late in 1915 he left to fight in the trenches, on the Western Front. His mother’s attempts to fight for her son’s rehabilitation at home, while sending him out special socks and imploring him not to take risks provide a touching final coda to the correspondence. 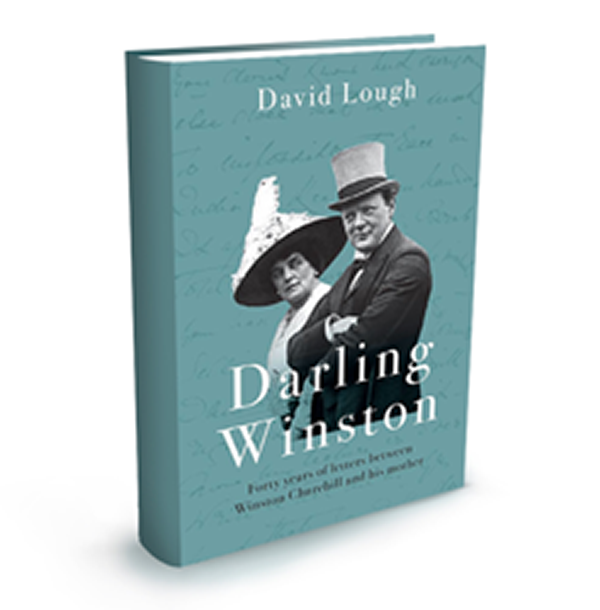 Narrated by David Lough, Darling Winston sheds new light on Churchill’s early emotional, intellectual and political development; but it also paints a vivid picture of motherhood – the deeply poignant, inescapable passage of a woman from young life-giver to elderly, unwilling burden. 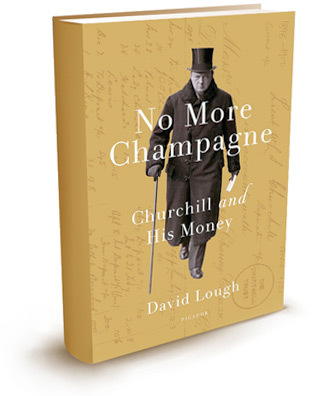 David Lough uses Churchill’s most private records, many never researched before, to chronicle his family’s chronic shortage of money, his own extravagance and recurring losses from gambling and trading in shares or currencies. David tells the story in an engaging way, revealing a fresh, more human picture of Britain’s famous war leader. Churchill’s contemporaries may have expected his father’s Marlborough family money to provide a comfortable start in life, but the truth was that it had been reduced to selling its silver by the time he was born. On his mother’s side, the Jeromes had been equally busy losing her father’s early Wall Street fortune. Churchill’s parents lived in the style of aristocrats, but at a cost well beyond their means. When his father died early, Churchill could only cling on to his place in the Edwardian world by borrowing, ignoring bills and supplementing his meager rations as an army officer by doubling up as a war correspondent. Before he was twenty-five years old, he turned himself into the world’s most highly paid journalists. Yet politics, high spending and failure to marry the hoped-for ‘rich heiress’ soon consumed his savings. Faced with financial ruin after the Great War, a Welsh train crash that killed a distant Irish cousin briefly saved him by delivering an unexpected inheritance. Churchill had spent it all within a decade, gambling more heavily than he ever admitted, mis-managing the costs of modernising his new country estate at Chartwell and losing his head in New York’s 1929 stock market crash. He struggled to stay afloat during the 1930s, conjuring up stopgap books from old newspaper articles, declaring periods of household economy that seldom lasted, always juggling between writing deadlines and what remained of his political career. He traded in shares and currency futures, only succeeding in losing more money. He had to seek secret cash injections to avoid financial collapse, just as his warnings about possible war in Europe gained ground. He started the war in 1939 with no money at all, yet finished it with the today’s equivalent of £4 million ($6 million) in his bank: he conducted his private business affairs as ruthlessly as he waged war itself. He had no real need for his friends’ purchase of Chartwell in 1946, but recognized a good deal when he saw one. Using the money to buy up neighboring farms and to start a racing stable, he turned his mind to the record offers pouring in for his war memoirs; he only went ahead once his advisers had devised a scheme to keep most of the proceeds out of the clutches of the taxman. No More Champagne reveals the breath-taking scale of Churchill’s personal risk-taking, yet his ability to talk or write himself out of the tightest of corners. Throughout David links Churchill the private man and the public figure. The result is one of the most original and surprising books about Churchill to emerge for many years, listed by The Wall Street Journal at the head of its list of the ‘Best Biographies of 2015’ and by the UK’s Times and Guardian newspapers among their best books of the year. It was short-listed for the Longman History Today 2015 Book of the Year award.